Download Restaurant Menu Table Tent Design PSD. This is Free Restaurant Menu Table Tent Design which is suitable for any fast food restaurant, grill, bar, pubs, italian, mexican, american restaurants and other related food businesses. Using this Table tent card your can also showcase or promote your products and services to increasing your sales. All design elements are fully customizable and easy to edit, You can easily change the fonts, text, color using adobe photoshop format. 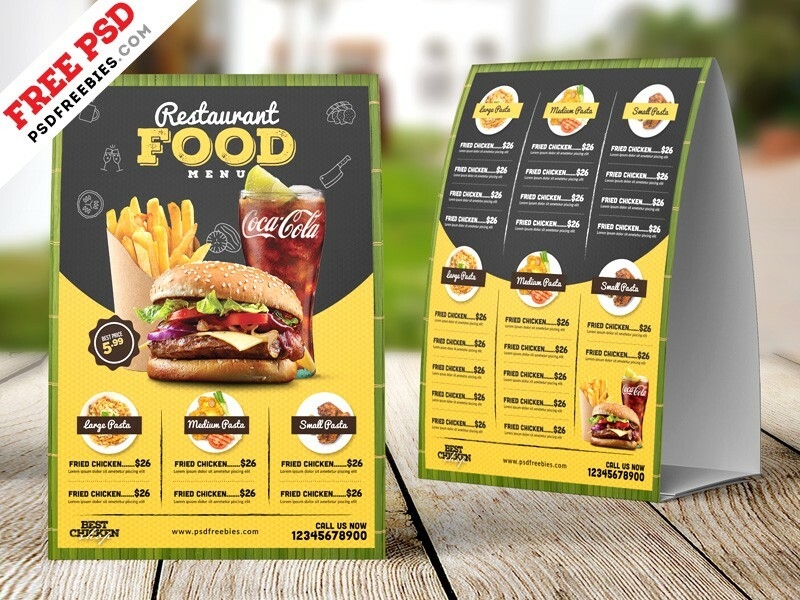 This Restaurant Menu Table Tent Design freebie contains a two A4 size PSD file (front and back) design in 300 dpi print-ready CMYK psd file format. Hope you like it. Enjoy!